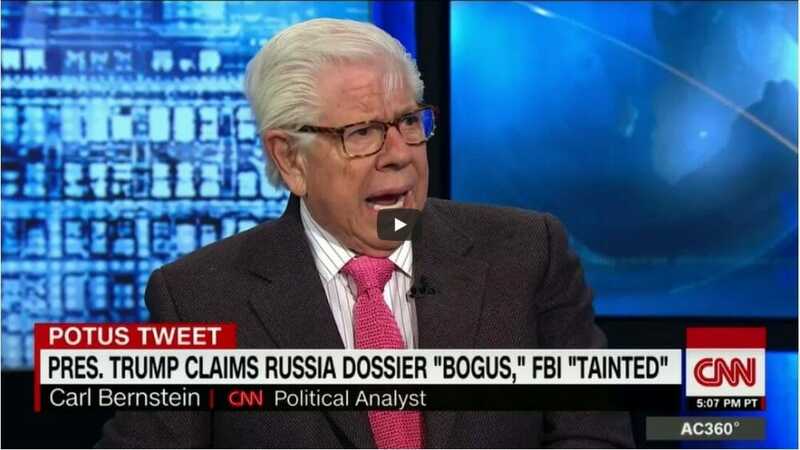 Famed Watergate reporter Carl Bernstein had some interesting things to say about President Trump during an interview on CNN. He called the President “brilliant” while simultaneously calling him a demagogue. Don Lemon: What is the difference — do you see any differences between Trump and Nixon’s M.O? Carl Bernstein: Yes, look, apples and oranges. I think, one, Nixon had a great intellect. I don’t think we’d ever accuse Donald Trump of having a great intellect and at the same time I would never underestimate Trump’s brilliance at reading the country in a demagogic way, and his political skills which are extraordinary. But we’re talking about apples and oranges. I think Nixon had a command of the presidency. He was a criminal president, but he had a command of understanding the office of the presidency and how it has to preside over the rest of the government, that in fact Trump lacks that.